We recommend spaying and neutering pets not intended for breeding. We do these surgeries Monday, Tuesday, Wednesday, and Friday. Four to five months old is the best time for most pets – they recover more quickly at a young age. Also, the risk of breast cancer in female dogs is much less for dogs spayed before their first heat cycle. During a spay or neuter surgery, your pet’s safety and comfort are our top priority. We administer pain medication before surgery as well as afterwards to keep your dog or cat comfortable. We have a dedicated veterinary assistant or technician assigned to that pet from induction (when the anesthesia drug is first administered) until your dog or cat is back awake. This assistant checks blood pressure, oxygen level, heart rate, breathing rate, and other parameters to ensure your pet is receiving the ideal, most safe amount of anesthesia gas. We tailor the type of anesthesia drugs used based on the individual pet’s needs. After surgery, you have the option to leave your pet overnight at no additional charge (an additional charge does apply if you choose to have an assistant spend the night monitoring your pet) or you may pick him or her up that evening. After surgery, we will provide discharge instructions so that your pet can recover quickly. 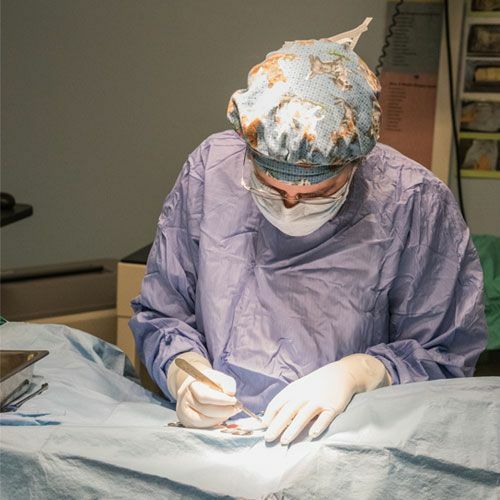 We perform other surgeries as well, all with the same precautions for safety and comfort for your pet. 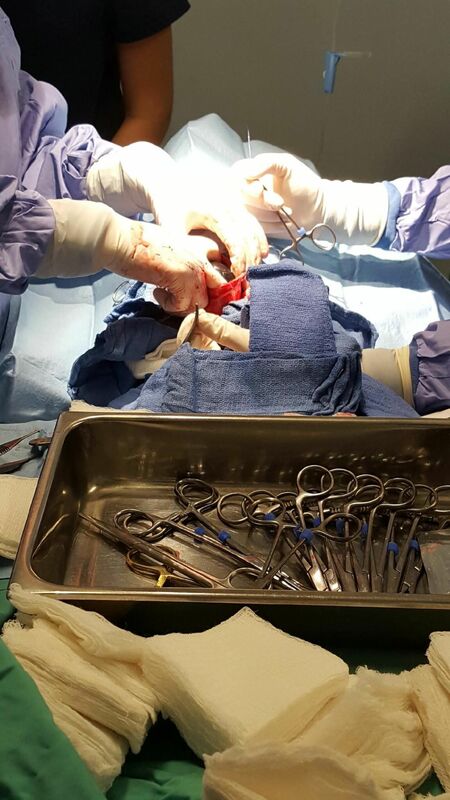 Splenectomies (removing the spleen), diaphragmatic hernia repairs, intestinal surgeries, pyometra (uterine infection) surgeries, tumor removals, and eye surgeries are a few of the more common surgeries we perform.